Jaimie Hernandez of First Baptist Church of Eupora said PASSION 2017 Conference has changed his life forever. 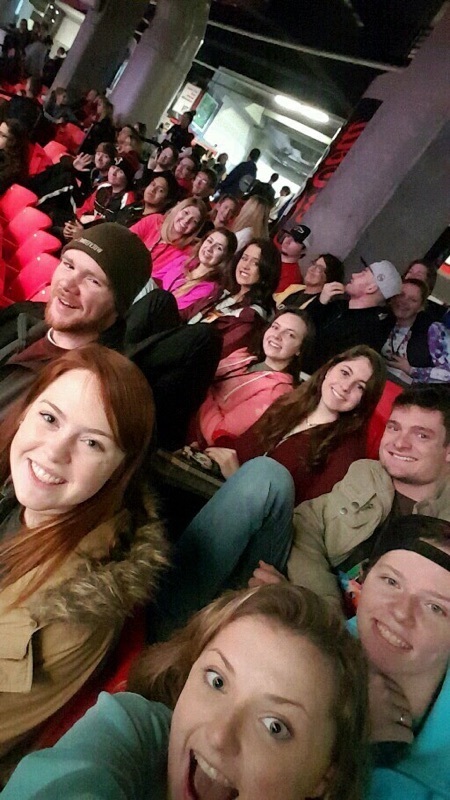 Hernandez was one of 10 students from First Baptist Church of Eupora to travel to Atlanta, Ga. last week to take part in the 2017 PASSION Conference held at the Georgia Dome. During the first night of Passion 2017, Hernandez said he was in awe of the number of people who showed up. More than 55,000 people jammed the Georgia Dome, where they joined their hands and hearts in prayer. Passion 2017 is a Christian-based gathering of young adults typically ranging in age from 18 to 25. This is the 20th year for the conference, “which grew out of a Bible study started in Texas two decades ago by Louie and Shelley Giglio as a way to reach college students and their leaders interested in a deeper understanding of Christianity and God.” These days, students come from 90 countries and more than 1,600 colleges. Tiffany Edwards said at Passion 2017, she learned that God is always there by your side even when you feel like he’s not. Edwards said she honestly believes that Passion helped her with some of the struggles and temptations in her life. Other students attending from FBC Eupora were Greer Blaylock, Kelly Fulce, Corey Richardson and Taylor South. But it was the teaching that Cody Robertson, minister of students at FBC Eupora, that impacted him the most at this year’s event. Conference attendees were given a copy of “The Jesus Bible,” which includes contributions from not only Louie Giglio, but other national Christian speakers and authors such as Max Lucado, John Piper, Ravi Zacharias and Randy Alcorn. In previous years, students who attend the Passion conference have given more than $8 million to fight modern-day slavery through “The END IT Movement.” This year, students will also participate in another effort, “Make History Together.” Attendees were being asked to bring new towels and socks that will be distributed to homeless shelters. Robertson said at the weekend event in Atlanta, Ga. 7,000 children we sponsored from Rwanda, Indonesia, El Salvador, Tanzania and half of the available children in Bolivia through donations at this one event. It costs $38 per month to sponsor a child through Compassion International. For more information about the 2018 Passion Conference, go to http://268generation.com/.